i. Research and development in fisheries, aquaculture, post harvest, processing, marketing of fish and fishery products, socio-economics, and the ecosystem to provide reliable scientific data and information. ii. Formulation and provision of policy guidelines based on the available scientific data and information, local knowledge, regional consultations and prevailing international measures. iii. Technology transfer and capacity building to enhance the capacity of Member Countries in the application of technologies, and implementation of fisheries policies and management tools for the sustainable utilization of fishery resources and aquaculture. 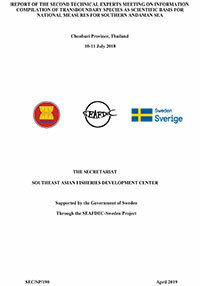 mechanism, and the emerging international fisheries-related issues including their impacts on fisheries, food security and socio-economics of the region. Integration of habitat and fisheries management, and provision of support for the conservation of important fishery resources. 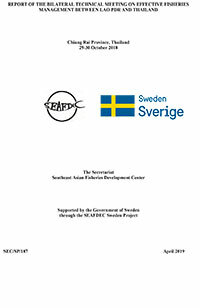 Compilation of scientific data and information including local knowledge to support policy on sustainable aquaculture. 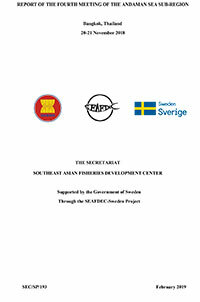 Promotion of seafood quality assurance systems for fish processing establishments in the region. 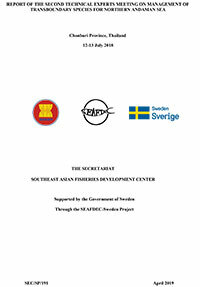 Development and promotion of traceability system for fish and fishery products in the region. Recognition of the importance of small-scale fisheries, welfare of labor in fisheries, safety at sea, and gender equality in the fisheries and aquaculture sector. 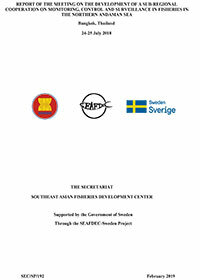 Promoting SEAFDEC to wider international communities to gain more support from organizations, governments and donors.